So I never had seemed to get around to finding an efficient way to top off the worm compost buckets. The plastic lid didn’t let it breathe, hard mesh is not easy to work with, and I ran out of creative alternatives. Since the lid was on and off every other evening (an experiment of sorts), it didn’t take long for those pesky little fruit flies to arrive, much to my annoyance. Now each time I added more veggie scraps to the compost, I had to slowly lift the lid and prep myself to be swarmed by the fruit flies. I read about putting some wine in a jar to lure the fruit flies into a drunken death. I tried that. Fail. I read about offering the frit flies some apple cider vinegar as well. I tried that. Fail. So, on one windy day, I decided to bring the fruit flies onto the roof and wait for the swift desert wind to carry them away. They decided to just go ahead and hunker down in the buckets instead. They were cozy. They had found a new home, and they liked it. One week led to another, and the fruit fries remained banished to the roof. I bought some soft mesh to top off the buckets, but if I added that now, wouldn’t I just be encapsulating the already large population of fruit flies into the bucket? What to do, what to do? I began to pack for my week of training in Querétaro, and hoped that some of the other Environmental Education volunteers would have some ideas. PS: Check out the other posts that brought me to this point. 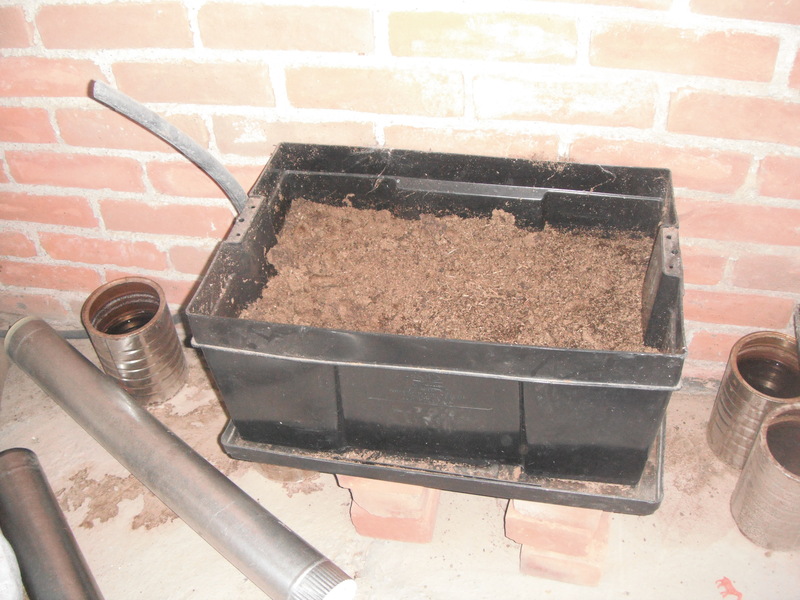 Worm Compost: Part I, Worm Compost Part II. PPS: I’m not giving up! I’m just experimenting, finding what works, what doesn’t. A potential new plan in the works: The women in the community of Capula have these fully-functional worm compost systems in large plastic boxes, and I just purchased one to see where it leads me. More surface area = better aeration? 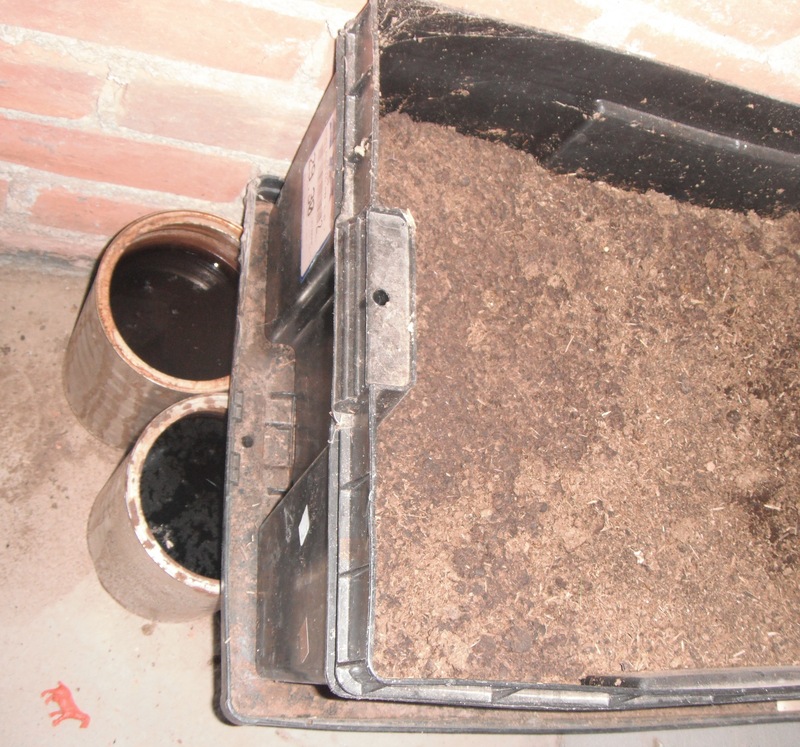 They put the worm compost box on a slant to collect the worm juice that pools on the lid.